A great choice for the rider looking for versatility in the summertime, the Olympia Recon 2s quickly convert from protective mesh motorcycle pants to stylish cargo shorts in a matter of seconds. From a protective standpoint, Olympia constructed a chassis of 500D Dupont Cordura and ballistic mesh panels with adjustable CE rated Motion Flex armor at the knees. Adjustability will not be an issue as the EZ hem bottom allows for 6" of hemability in addition to waist cinching. These pants will get you through some significant lengths of freeway or enduro rides, treks through the hills, even a day at the workplace. Check out our detailed video review above. Next up are the Olympia Ranger 2 Overpants. 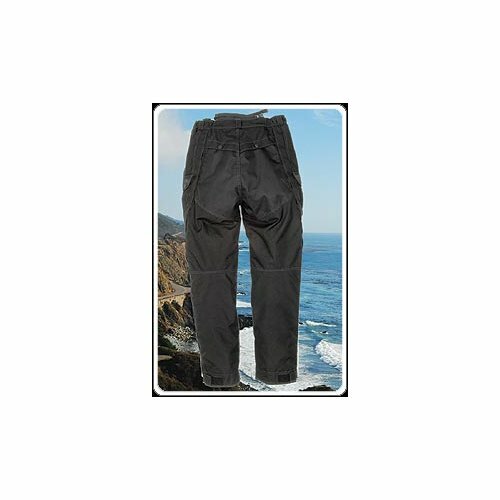 We think these as a great option for anyone looking for a rugged ADV Touring pant that will stretch you close to four seasons with the exception of the extremely blazing summer heat. Olympia designed the Ranger 2 Overpant to combat the coldest, most miserable conditions you'll see on a motorcycle. The outershell is built with coated 500D Dupont Cordura with 1500D ballistic nylon reinforcements. Within the outershell is a waterproof/breathable seam-sealed membrane that won't allow any of the elements to affect you. Inside, Olympia used a Dupont Thermolite liner that doubles as a standalone pant to keep you warm and insulated. 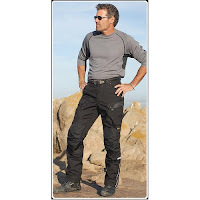 Removable & adjustable CE rated armor, 3M Scotchlite reflective piping, multiple storage pockets, and custom fit adjustability at the waist and hips are just a few more of the features that round out this super-versatile ADV Touring pant. To compare and contrast the Recon 2s, check out our summer motorcycle pants section. To see alternatives to the Ranger 2s, check out our winter motorcycle pants section and our textile motorcycle pants section. Also, both of these pants pair up well with any of the Olympia jacket options available.